Made and promoted as a long story-driven commercial for the Jaguar car company, the short follows a sharp-dressed car courier in a Mexican desert who agrees to help a beautiful armed woman on the run from her jealous gangster husband. 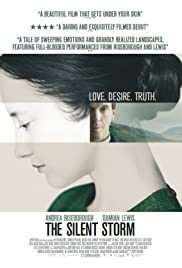 Great interpretations by Andrea Riseborough,Damian Lewis and Ross Anderson set in Scotland's finest landscape. Slow burning drama, with beautiful photography work and soundtrack. Simple story, but very well done, about love, hatred and what God really is.